Expect plenty of compliments while wearing this fabulous pair of earrings! 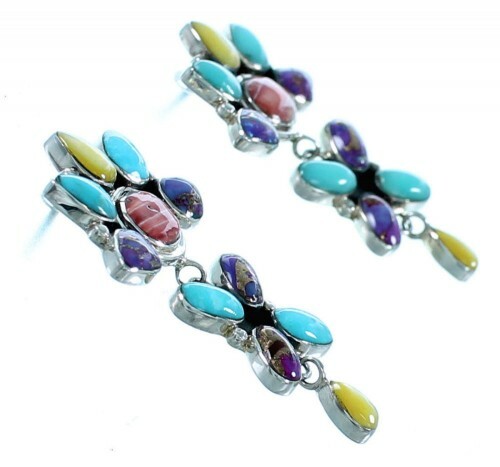 This piece of jewelry is hand crafted out of Genuine Sterling Silver and Multicolor stones. 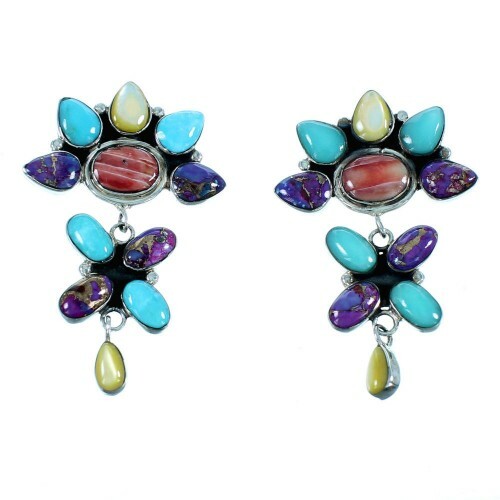 The stones include: real Turquoise, Magenta Turquoise, Yellow Mother Of Pearl, along with Red Oyster Shell. The earrings have a total of TWENTY TWO stones (ELEVEN in each earring) that are gently set in silver bezel for an excellent look. 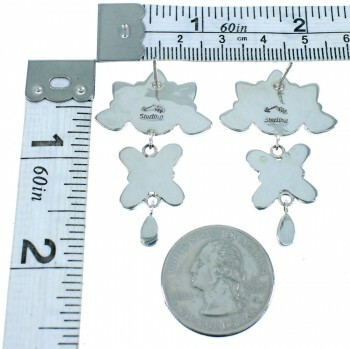 The earrings are stamped sterling and hallmarked.